Preference will be given to applicants who serve as faculty members of state and private institutions of higher education in Indonesia. However, others who are not lecturers may apply. A minimum ITP TOEFL score of 550 or IBT TOEFL score of 79/80 or IELTS score of 6.0. Please note that TOEFL prediction or TOEFL-like score cannot be accepted. Disciplines and fields of study related to Science, Technology, Engineering, and Mathematics (STEM) are eligible, with the exception of fields related to patient care or medical training or to continue their study at medical school. Candidates should complete the appropriate application forms which can be downloaded below. 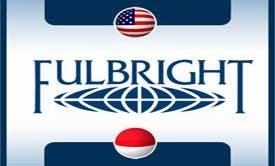 Demikianlah informasi mengenai Fulbright Master of Science & Technology Initiative Degree Program, AMINEF, USA semoga berguna bagi anda.